Sultan Sands Island Resort is situated next to its sister property, Bluebay Beach Resort & Spa on Zanzibar’s North East coast of the island. 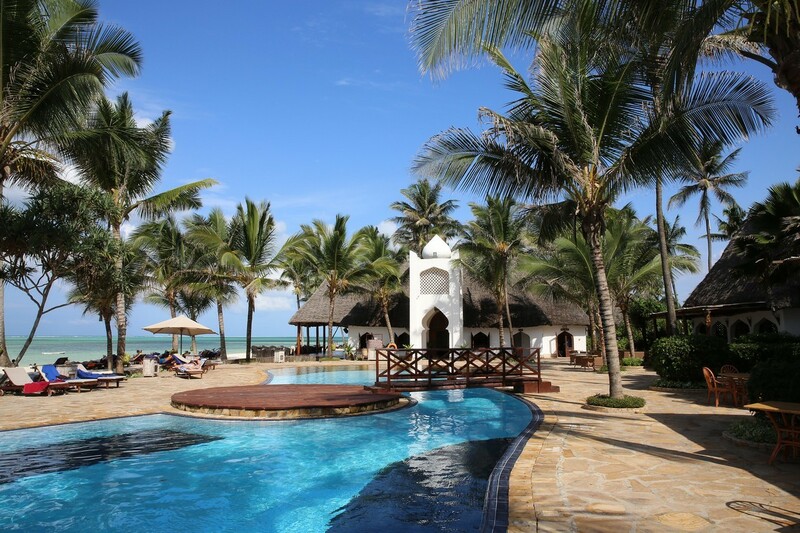 An inspired blend of Swahili and Arab architecture and décor creates a relaxed ambience and with its idyllic beach position, relaxing pool and wonderful choice of leisure and dining options, Sultan Sands is the perfect island getaway. The resort has 76 rooms in 3 different categories. 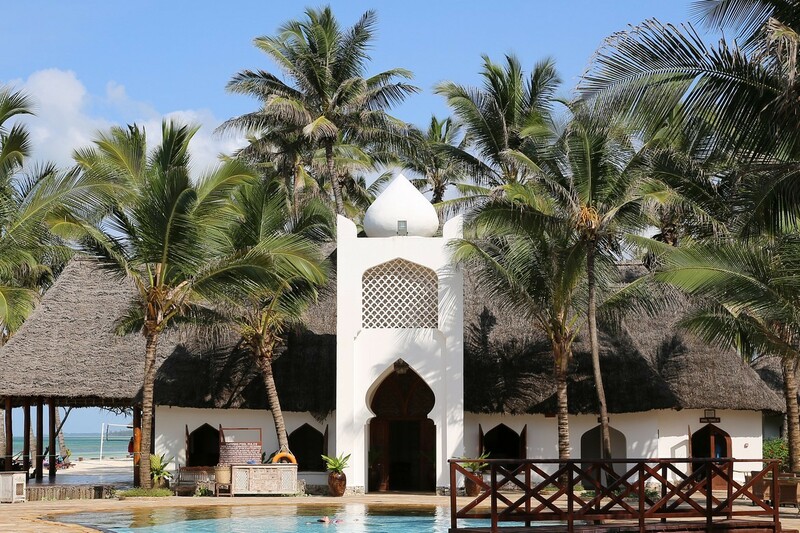 The spacious rooms are built in a traditional Swahili style with thatched roofs, each tastefully decorated with hand-carved Zanzibari furniture. 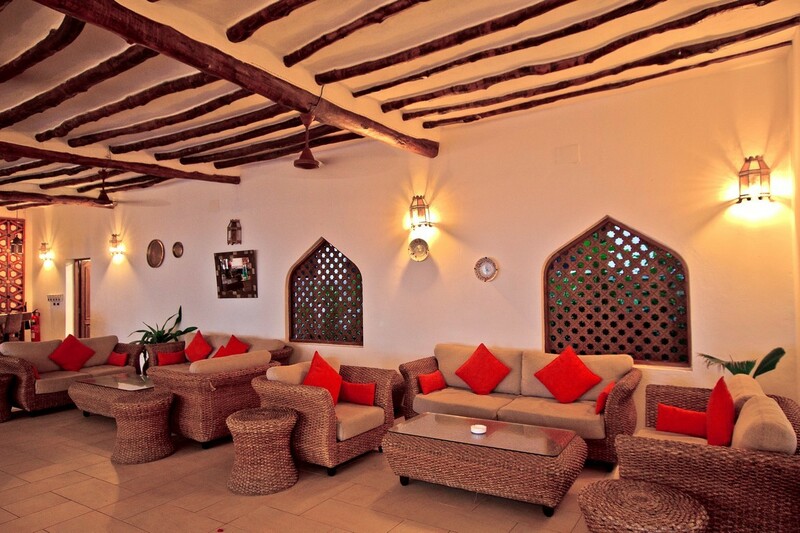 The Pwani rooms are built on elevated ground and are built in single storey traditional rondavels. The Bahari rooms are sea facing, overlooking the gardens, and share their own private plunge pool. 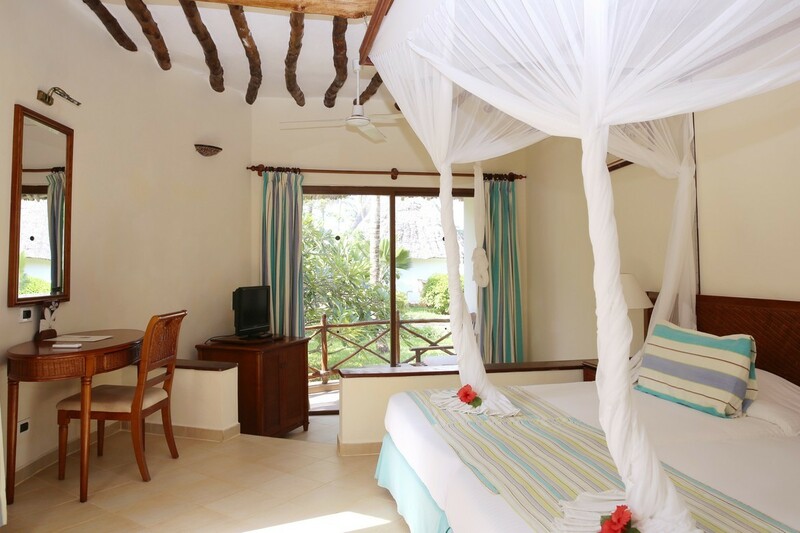 The Junior Suites are located close to the beach and enjoy an ocean view. The Suites share the Bahari rooms private plunge pool. The main restaurant overlooks the pool and serves buffet style breakfasts with live cooking stations whilst lunch and dinner are either buffet or table d’hote with weekly beach and poolside parties. Dinners are themed and there is a resident band plus evening entertainment. 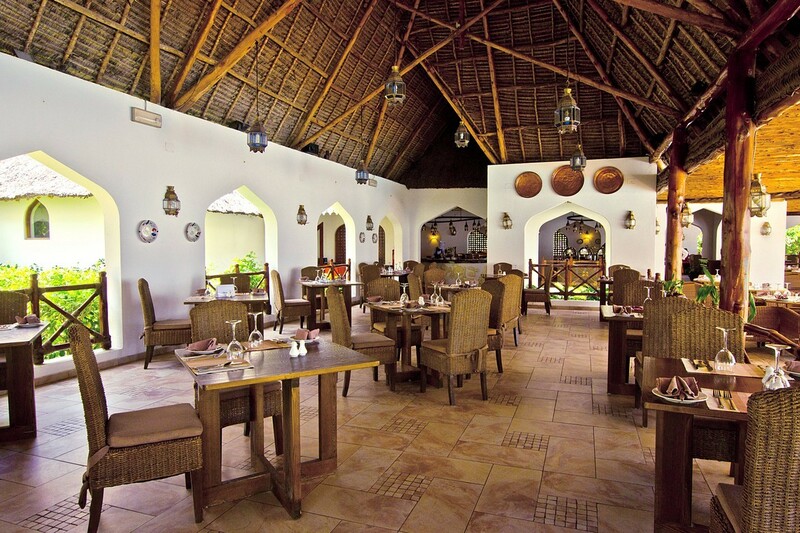 A la carte restaurant at Blue Bay serving seafood and local specialities, open for lunch and dinner. Guests enjoy a 15% discount on meals. 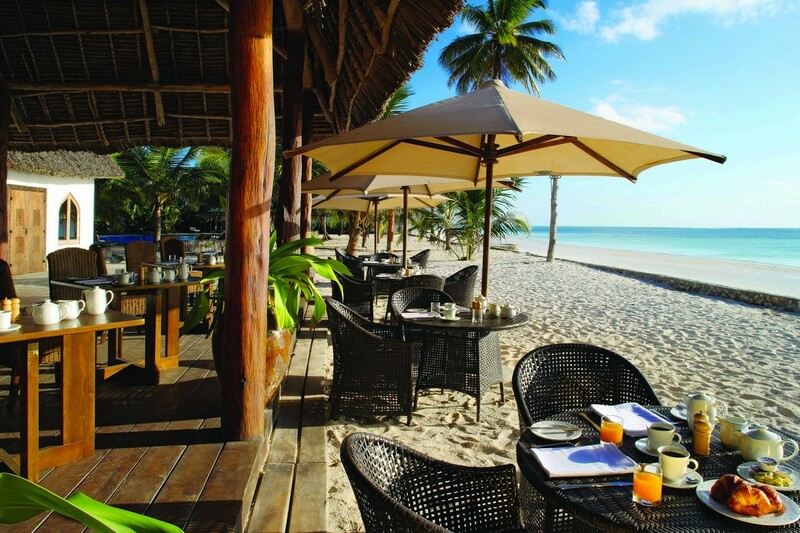 Kivuli is located on the beach offering ‘toes-in-the-sand’ a la carte menus for lunch and dinner. Kivuli specialises in Far Eastern fusion cuisine. Guests enjoy a 15% discount on meals. 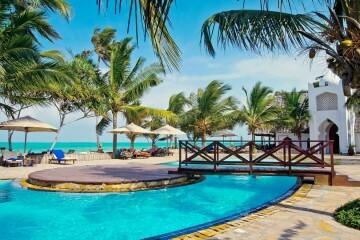 Mawimbi offers a full range of alcoholic and non-alcoholic drinks and overlooks the pool and the beach. The lounge is located adjacent to the main pool and offers all day tea and coffee as well as cakes and cookies from 10h00 to 12h30 and from 14h00 to 17h00. The Oasis Spa is idyllically situated right on the beach at Blue Bay where the cool breeze and sounds of the ocean provide the ultimate experience in relaxation. WiFi is complimentary in all public areas but is chargeable in the rooms.